From 2012 - 2017 Benjamin Rüth studied "Engineering Science" and the international master's program "Computational Science and Engineering" at Technical University of Munich (TUM). He entered the Elite Graduate Program "Bavarian Graduate School of Computational Engineering" (BGCE) in 2016. As a follow-up project of his BGCE honours project on "CAD-integrated Topology Optimization" he wrote his master's thesis on "Computer-Aided Design in Virtual Reality" at SIEMENS to evaluate the possible application of virtual reality technology in engineering. 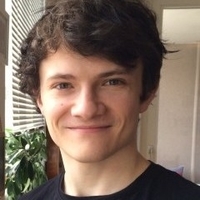 Currently, Benjamin pursues his PhD in the field of numerical methods for multi-physics simulation and works as an assistant researcher at the chair of Prof. Bungartz at TUM. He contributes to the SPPEXA subproject ExaFSA and is a co-developer of the open-source coupling library preCICE.